Hello, I'm Toot's, a giant sulcata tortoise. Being a large, long lived pet I might even outlive you! "My zen is eating and t.v. 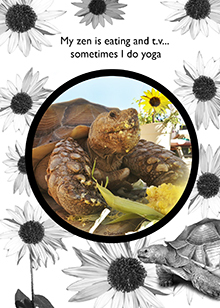 ... sometimes I do yoga"